We are a leading Exporter of my creative mini color - green, my creative mini color - orange books, my creative mini color -red and my creative mini color - purple books from Chennai, India. Being a highly effective, lean and fast-moving organization, we are highly instrumental in providing My Creative Mini Color – Green. The offered color books are made up at vendor’s end using top quality paper & best ink is used for printing purpose. 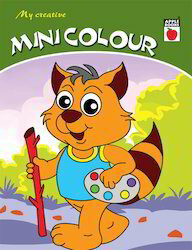 Along with that, these color books are suitable for toddlers, preschool and kindergarten children. 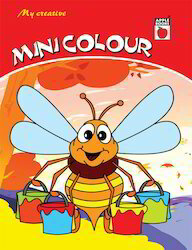 We provide these color books in customized printing & sizes according to the requirements of customers. My Creative Mini Color - Orange book offered involves coloring each picture orange and then drawing a picture of something else orange. Made available in 64 page softbound finish, the color book is best for fun time activity and is the best tool for engaging child's interest in Kindergarten and initial school years. Being suitable for toddlers, preschool and kindergarten children, the suggested hands-on activity based worksheet is also a great way to have fun while children get benefitted from practical, memorable lessons. My Creative Mini Color -Red book offered involves coloring each picture red and then drawing a picture of something else red. Available in softbound 64 pages finish, the book encourages creativity as well as comes with child friendly illustrations. Coloring pages are fun for kids and provides a strong foundation for kid's early learning needs. Being suitable for use at home or in the classrooms, the worksheet is designed to help kindergarten students to recognize colors through association with pictures. My Creative Mini Color - Purple book offered involves coloring each picture purple and then drawing a picture of something else purple. Available in 64 page finish, this softbound book encourages creativity and enhances shading skills of children. 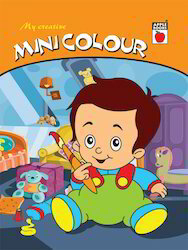 Further, it comes with child friendly illustrations and allows simple introduction to colors for toddlers and preschoolers. This fun worksheet reinforces recognition of colors and also help kids develop eye-hand coordination and color concepts. 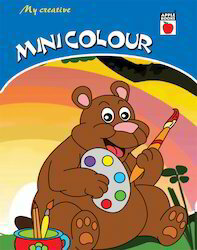 Looking for My Creative Mini Colour ?